I recently had the opportunity to setup and use a brilliant network monitoring and reporting tool called OpsView. I’ve blogged before about nagios and cacti, I usually use a combination of the two for my monitoring needs. However, OpsViews offers an optimized nagios core and very good reporting features, bundled with some other modules like MRTG. On the surface the first attraction is the fact that almost everything can be controlled via the WebUI. Nagios can be a bit clunky with having to edit the template files and so on. OpsView makes it a bit easier to manage. I still had to dig into the CLI every so often, but it’s still a massive improvement. I’m currently testing it out with their ready made virtual appliance, so installation was an absolute breeze. Even setting up basic monitoring and reporting was very easy. My main notes to make here was that we wanted to monitor the latency time of a particular HTTPS service, i.e. 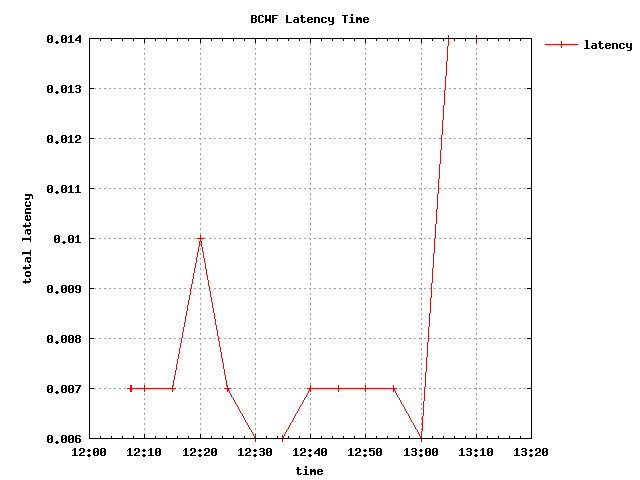 the time taken for the HTTPS server to answer a syn packet. OpsView can monitor this in fact, as a “host check” command.
! !Important to note the she-bang on the first line pointing to the GNU interpreter! You should then get Perfdata back with this and Opsview will generate a graph based around this? Quite right, I figured somebody would point out how over complicated my solution was. Hey Dvas – the article is good though and an interesting way to adapt the data in Opsview/Nagios in general. In the latest OV you can export the CSV data from Opsview to create your own graphs in excel/other apps if you want to. One other way of making it a bit more automated is to enable ODW and then use MySQL ODBC connection to link to excel and you can query ODW for the relevant perfdata and use it in a graph as well. I do something similar to automate a systems check document for 40 servers on a site.